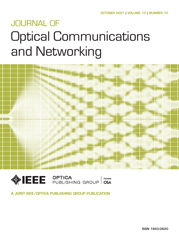 We investigate the consolidation of two optical networks, which overlap in some geographical areas, by installing interconnection links at strategic locations to reduce system operational costs. We focus on the operational costs of fiber links in the networks. The minimum number of operational fiber links required to provide bi-directional connectivity for any two nodes of the merged network is examined. Analytical results show that it is at least the number of nodes or at least twice the number of bridges when all the co-located nodes are interconnected. The optimal locations of interconnection links are derived when the interconnection cost is very high, which results in a minimum of two interconnections. They should be installed at the nodes which are one hop away from two certain cut nodes if there are cut nodes in the networks. To take into account more practical considerations, single link failure protection schemes for the merged network are also studied.